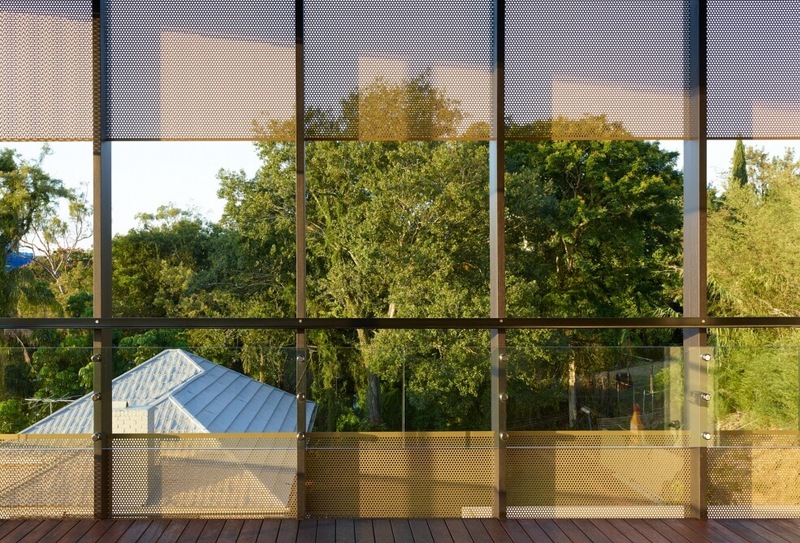 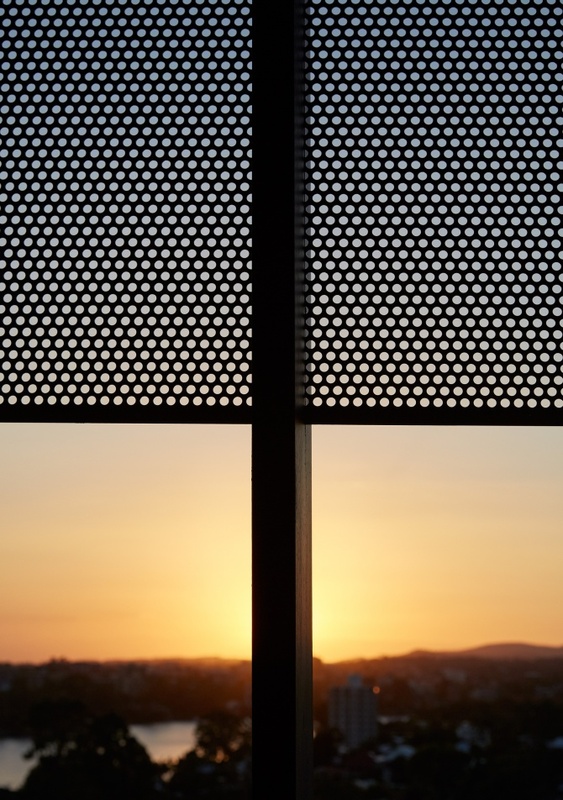 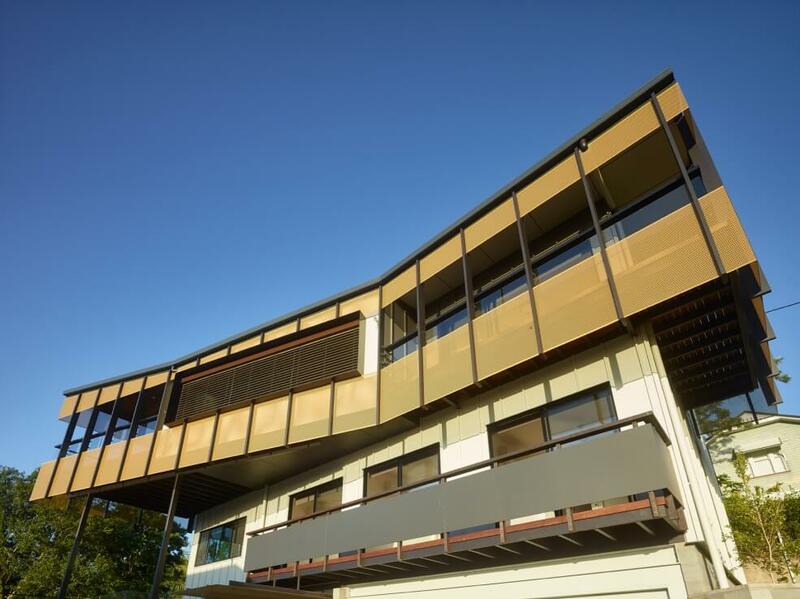 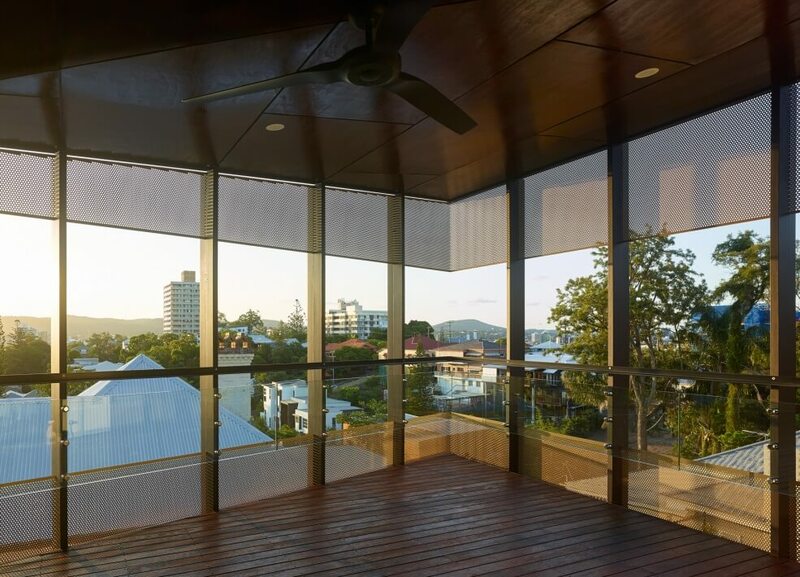 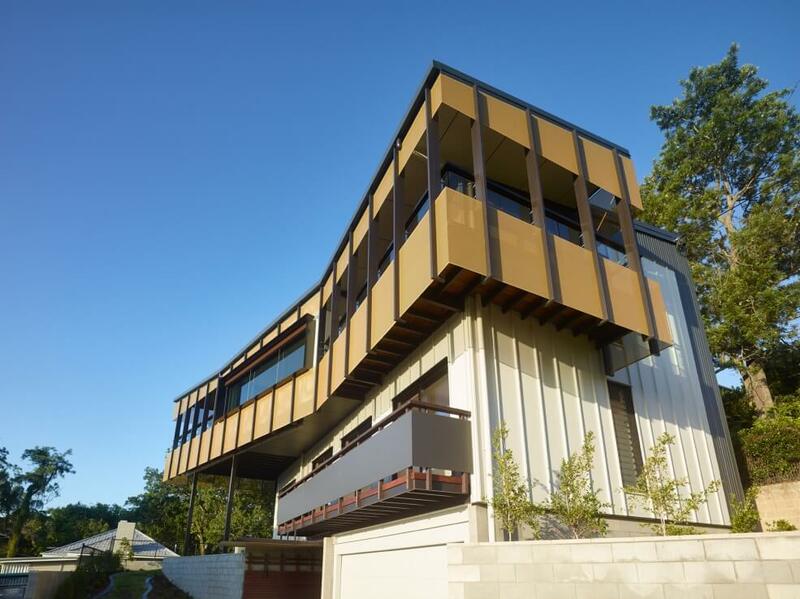 Highgate Hill house is a simple cost effective three storey building that is animated by a large scale wrapping mesh screen. 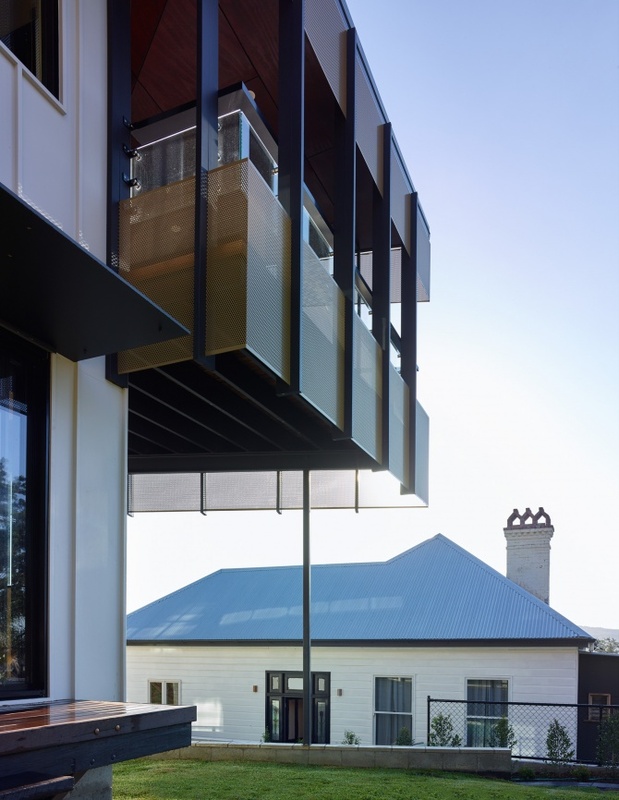 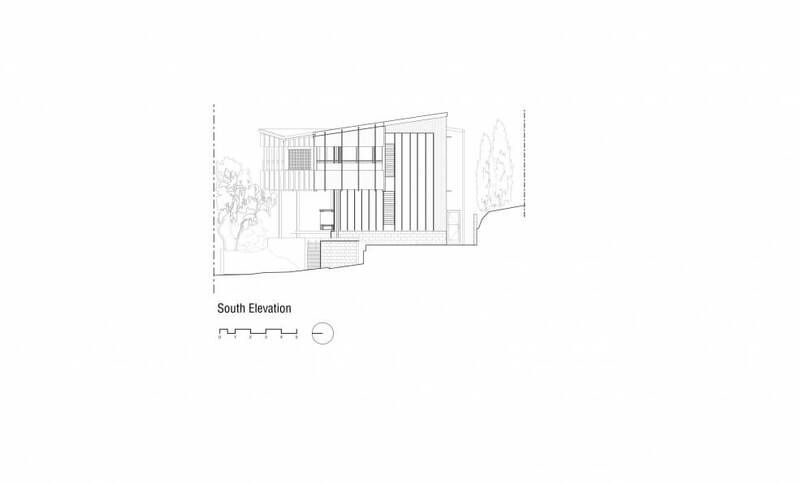 The screen addresses the difficult western aspect, acts as balustrading, as well theatrically responding to the houses landmark presence in the immediate neighbourhood. 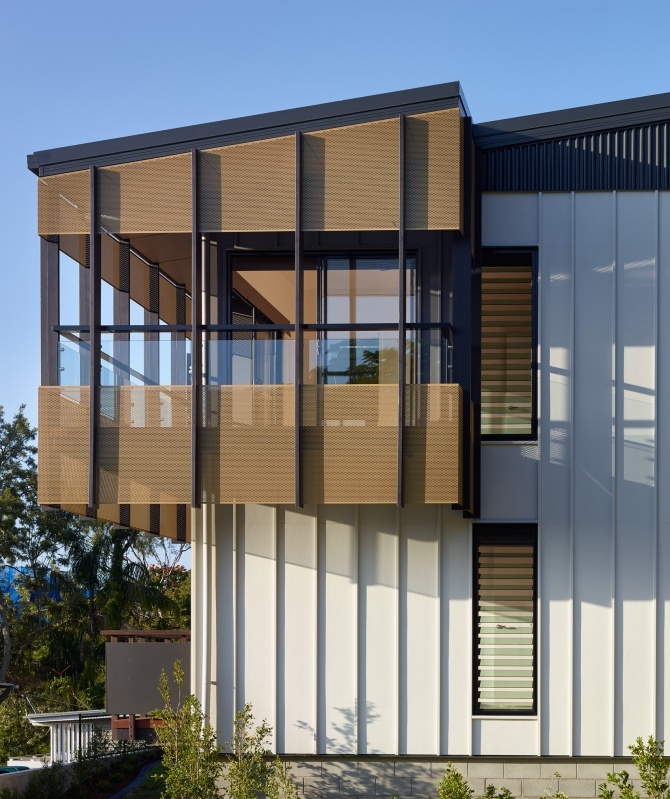 In contrast to the delicate perforated screen, is a strong base of raw blockwork that anchors the house to the site and creates a raised terrace garden and pool area in the northern yard. 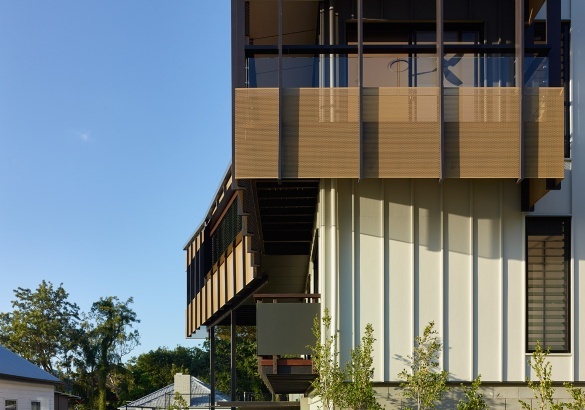 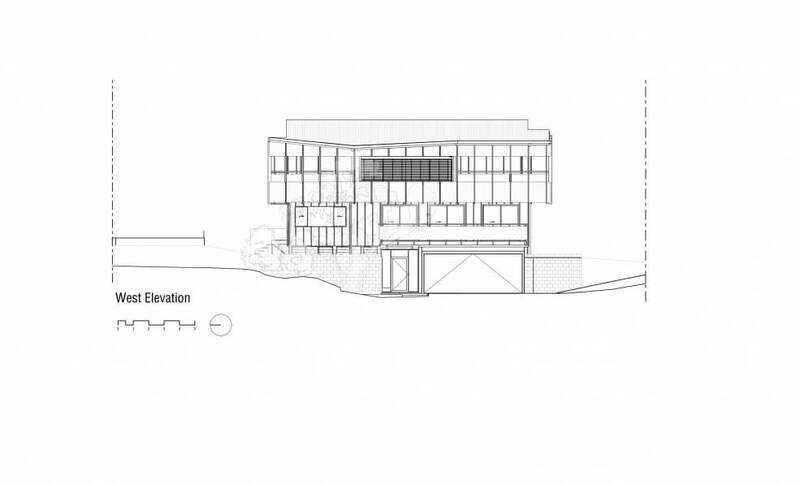 The entry is marked by a dramatic cantilevered mesh awning and associated hardwood seat and trellis. 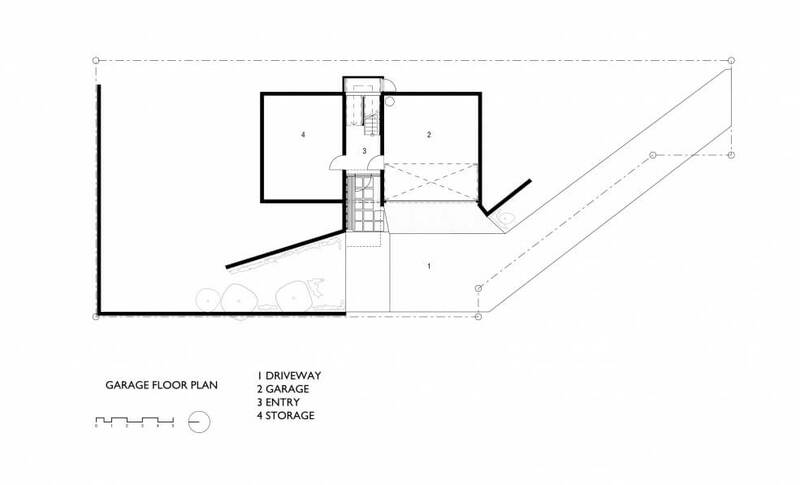 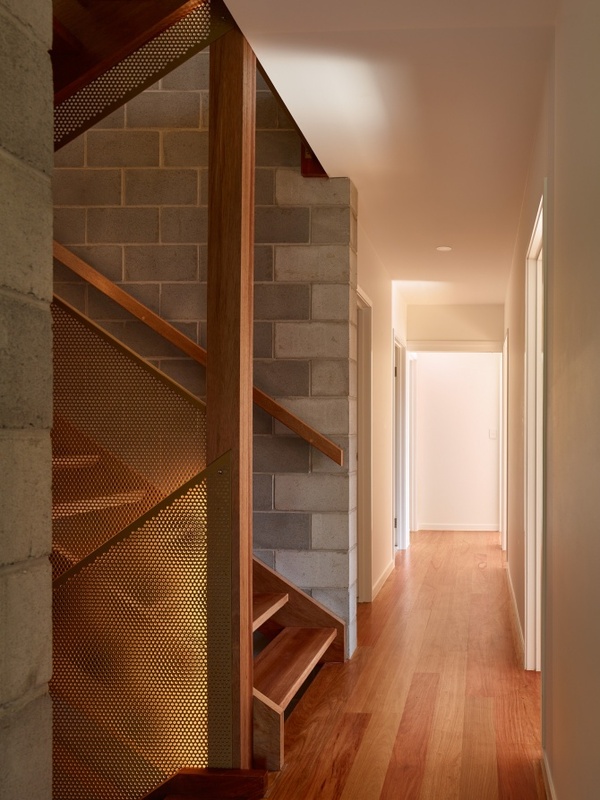 The external materials of block, steel mesh and hardwood are brought into the Highgate Hill House at the entry, and rise up the three stories with the stairs. 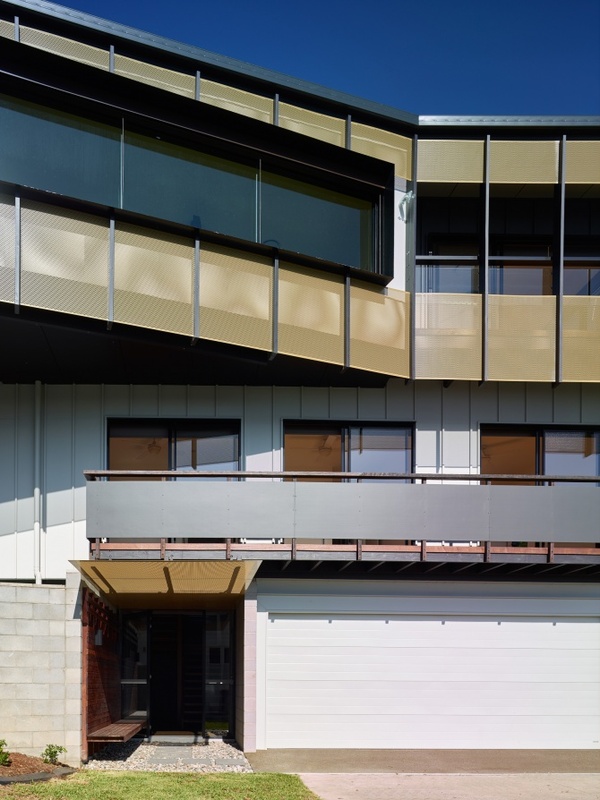 These raw and expressive materials bring a depth to what is otherwise a simple palette of plasterboard, timber floors and basic cabinetwork. 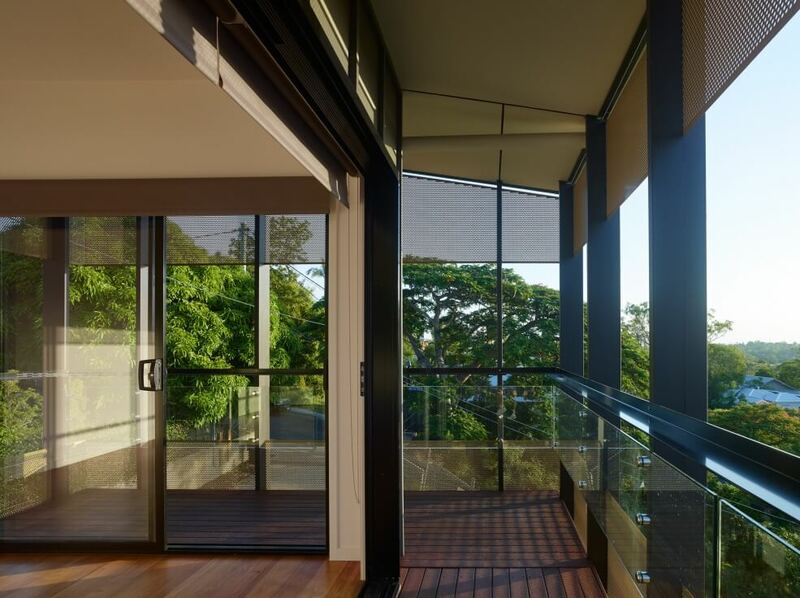 At the top most level the sweeping view of the river and distant mountains is framed by a large picture window. 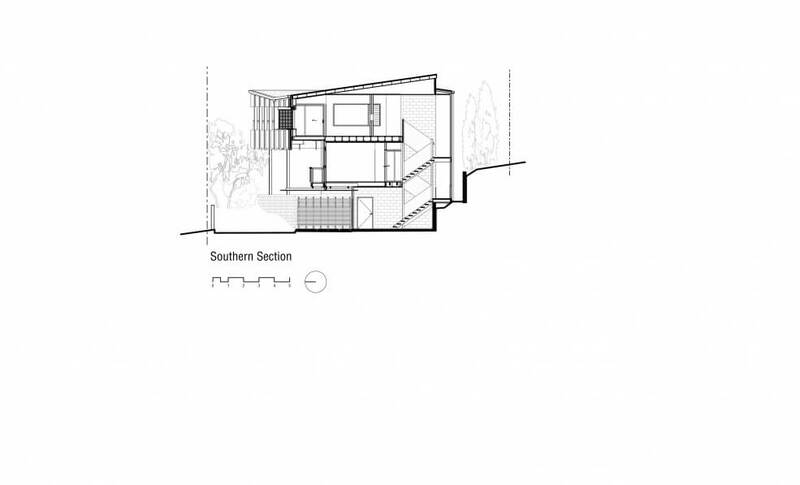 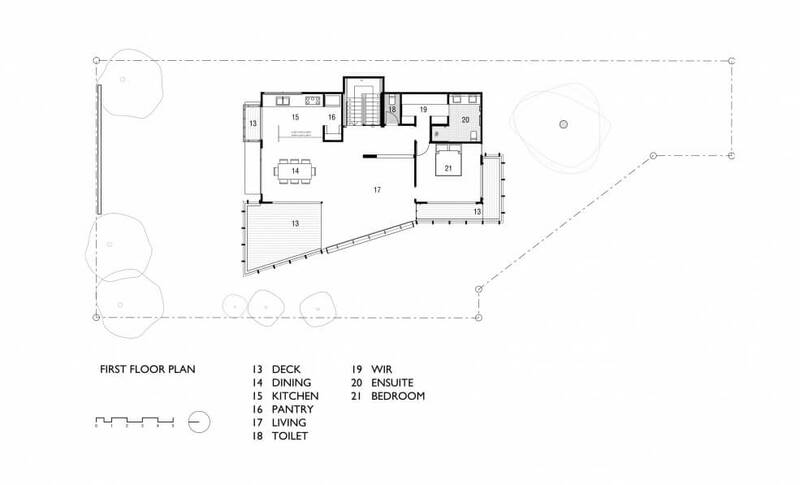 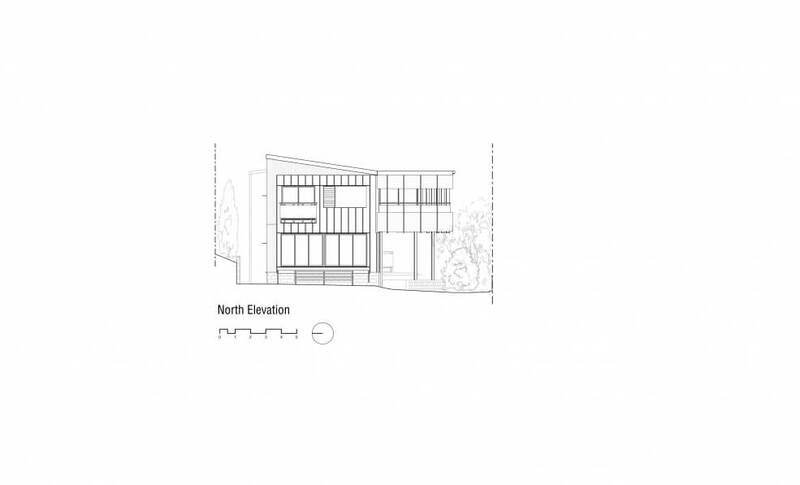 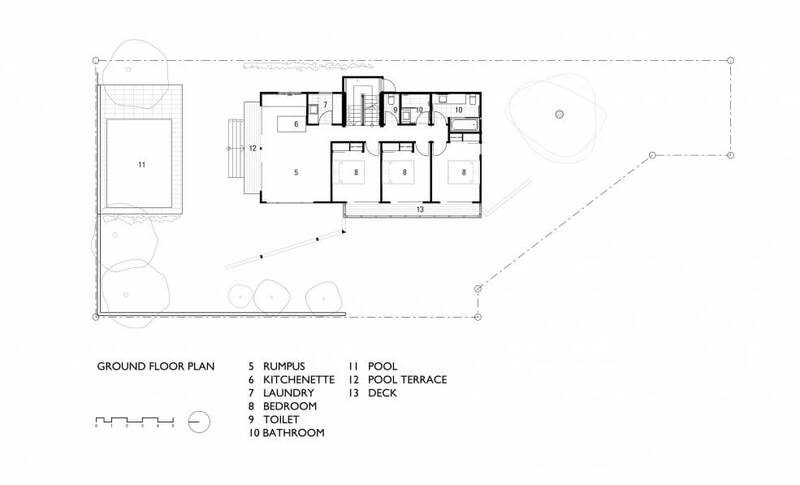 Efficient planning is structured around the central stairs with living spaces at the north end and bedrooms at the south on both upper levels.